Garage doors and openers in Bathurst, NB | City Glass & Locks Ltd. Founded in 1970, City Glass & Locks Ltd.. specializes in the sale, installation, repair and maintenance of Garaga garage doors, one of the best garage door brands available today. Our quality products and services have always been part of our reputation. 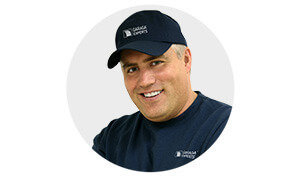 We're one of the only companies in the industry to offer Garaga garage door installation services- one more reason to choose us. Distinguished by quality, energy efficiency and durability, the garage doors we sell and install are available in a wide range of models and colours for you to choose from. To learn more about our models, please visit our photo gallery or visit our showroom at 450 MacDonald St. in Bathurst. You can also contact our team for your free online quote. Our experts serve residential, commercial and industrial clients. At City Glass & Locks Ltd., we value quality above everything. That's why we sell LiftMaster door openers, a brand known for strength, reliability and efficiency. Produced by the Chamberlain Group, one of the best manufacturers, LiftMaster garage door openers are reliable, easy to use, with a longer service life. You get security and efficiency for your residential or commercial garage door, with complete peace of mind, as many times a day as you need. Our door openers are designed for both residential and commercial use and are extremely durable- with an ultra-quiet operating system! To learn more about our LiftMaster products, feel free to browse our door opener section or contact us at 506-545-9160. Our experts will be happy to answer all your questions. As garage door specialists, City Glass & Locks Ltd. offers Garaga garage door sales, installation, repair and maintenance services. It's always best to do business with a Garaga Authorized dealer, to guarantee quality garage door installation. Building on our quality products and services since 1970, we offer complete sales and installation services for Garaga garage doors. To better serve you, we also offer a 24‑hour emergency service and a complete preventive maintenance program to maximize the life of your door. To learn more about our products and services, please contact us at 506-545-9160 or visit our showroom at 450 MacDonald St. in Bathurst. We serve the greater Bathurst area and several surrounding cities.